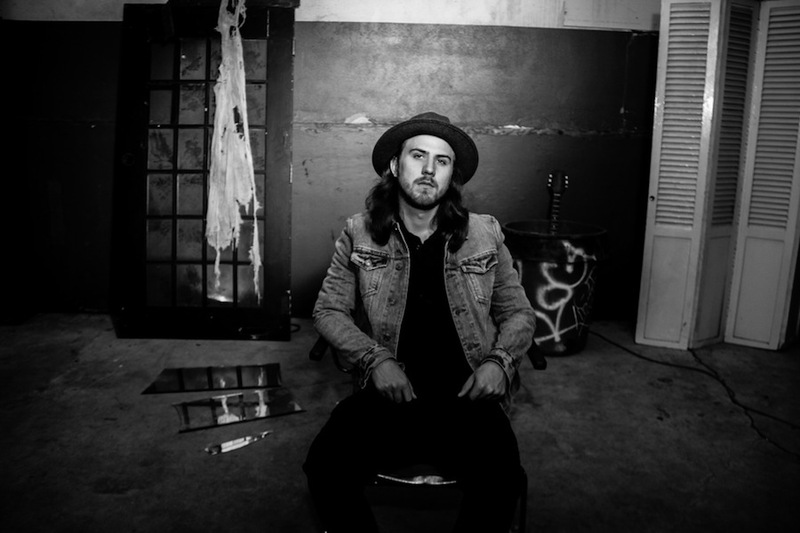 Texas born singer/songwriter Sam Morrow’s voice hangs in the air like cigar smoke. Considering I like a good cigar, particularly a fine maduro, I am quite fond of Sam Morrow’s voice. 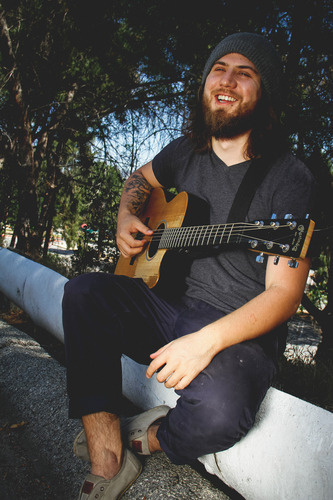 Now living in Los Angeles, Sam Morrow is set to release his new record, Ephemeral, this month. It’s a record that saved it’s writer. Of that there can be no doubt. Just a few years ago, Sam found himself struggling through addiction. All the while, he remained firmly tethered to his music. Music saved his life and he made this record. I recently caught up with Sam Morrow to chat about “Old Soul,” which is featured on this month’s Trail Mix, the saving power of music, and whether a church house or a saloon offers a tougher crowd for a singer. BRO – You were in a bad spot just a few years ago. Safe to say that music was a lifeline? SM – Definitely. For the first time in years, I had to stop and gather my thoughts. Writing, specifically, was important because I needed to give life to some of these things in my head. Music was and is my escape. It is something, maybe the only thing, that consistently makes sense to me. In a world full of things that I don’t understand, it is so essential for me – or anybody, I think – to be able to escape to something that does. BRO – We are featuring your tune “Old Soul” on this month’s Trail Mix. What’s the story behind the song? SM – “Old Soul” is about a break up. What do ya know? A song about a break up. It was written what I came to the realization that I had to totally disconnect in order to connect with someone else. I had to completely shatter in order to be able to begin picking up all the pieces. I realized that it was over at the time and so I was pleading for the strength to let it go. BRO – Did you have a record, when you were younger, that really punched you in the belly and made you think, “Yeah, this is what I want to do with my life”? SM – There were a few, but one in particular would be A Collision by The David Crowder Band. It is a actually a Christian record, but it is probably the most secular one I know. The lyrics of this record just really met me what I was and even still where I am. Sure, there are Christian undertones, but I think, more than anything, this record just deals with being a human. On top of that, the whole record just has such a huge sound. BRO – “Ephemeral” is such a cool sounding word. Why is it significant as the title of your record? SM – Yeah, it is, isn’t it? After I was done recording the record, I knew I had to come up with a title for the whole thing, so I took a step back and tried to find a common motif for all the songs. I noticed that that motif was being present for life and actually taking the time to step back and digest life. Life itself is ephemeral, so it is so important for me to be present for as much of it as I can and not take advantage of any moment. It may sound like something we have heard over and over, but it is just something that I personally need to constantly remind myself. BRO – You’ve played in both churches and bars. Tougher crowd? SM – Ha. Good question. Tough choice, but I’d have to go with bars being the tougher crowd, the reason being that often times, in churches, the words are on a screen behind you and everyone is singing along. Most bars are loud and people are drunk and not listening. There is no greater feeling that getting that person that’s not listening to listen. Sam will be celebrating the release of Ephemeral at the Hotel Café out in Los Angeles on May 1st. Here’s hoping that some East Coast dates follow soon after. 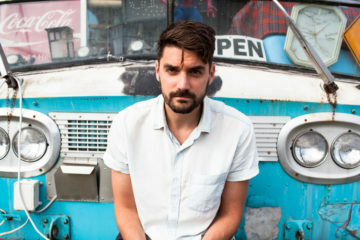 For more information on Sam and the new record, point your browser to www.sammorrowmusic.com.